American Gaming Association President and CEO Geoff Freeman will be in Biloxi next week to help kick off what will be a year-long observance of 25 years of the casino industry in the city and state. Managers of South Mississippi casinos, along with businesses and community leaders, will attend the presentation Wednesday at IP Casino Resort. The 9:30 a.m. event will be streamed live on Periscope. Larry Gregory, president of the Mississippi Gaming and Hospitality Association, will moderate. Among those in the industry who are expected to take part are Duncan McKenzie, general manager of IP Casino; Jonathan Jones, general manager of Harrah’s Gulf Coast; Marcus Glover, general manager of Beau Rivage Resort & Casino; Wade Howk, vice president of operations for Boomtown Casino, and state Rep. Richard Bennett of Long Beach. Bennett is chairman of the House Gaming Committee. The AGA is organizing the event as part of its “Get to Know Gaming” campaign that demonstrates the role the casino industry plays in communities across 40 states. August 2017 will be the 25th anniversary. 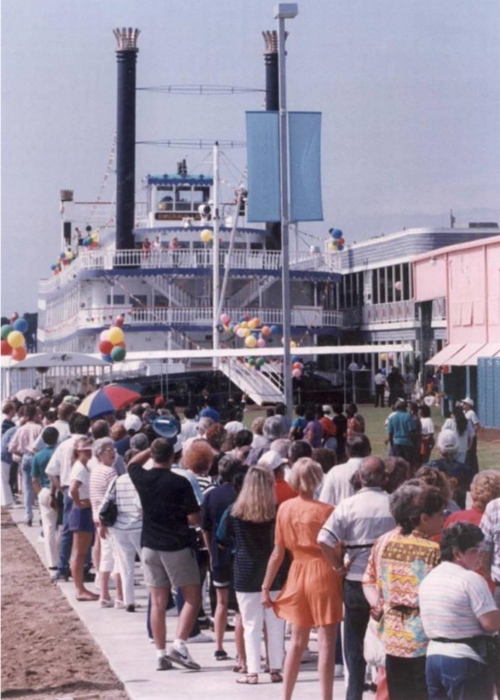 The Isle of Capri, the first casino in Mississippi and the South, opened Aug. 1, 1992. Mississippi casinos are expected to hit $6.5 billion in state tax revenue generated by the 25th anniversary of casinos in the state. The AGA says that level of tax revenue is enough to fund the entire state budget for a single year. Mississippi casinos have generated $53 billion since opening and Freeman will discuss how the industry can generate more revenue in the years to come to ensure the casino industry remains strong in South Mississippi. Freeman was in Biloxi in 2014 to speak at the Southern Gaming Summit and in 2015 to address the Attorneys General Conference and launch the AGA’s campaign against illegal gambling. AGA has hosted similar events in Ohio, Iowa, Colorado, Nevada, Pennsylvania and Michigan to show that across 40 states, casinos are a $240 billion industry that support 1.7 million jobs and generate $38 billion in annual tax revenue.